It's nice to meet you, SUMMER! It's here, it's finally here! Summer has arrived (ok, the past 2 weeks have already felt like summer) but it's now officially here! The Zuperku Swimming pool is open and ready for business. It's a tad small and the Zebra can be quite overbearing at times - but it's very refreshing. And of course Z's new bubble obsession is in full effect! 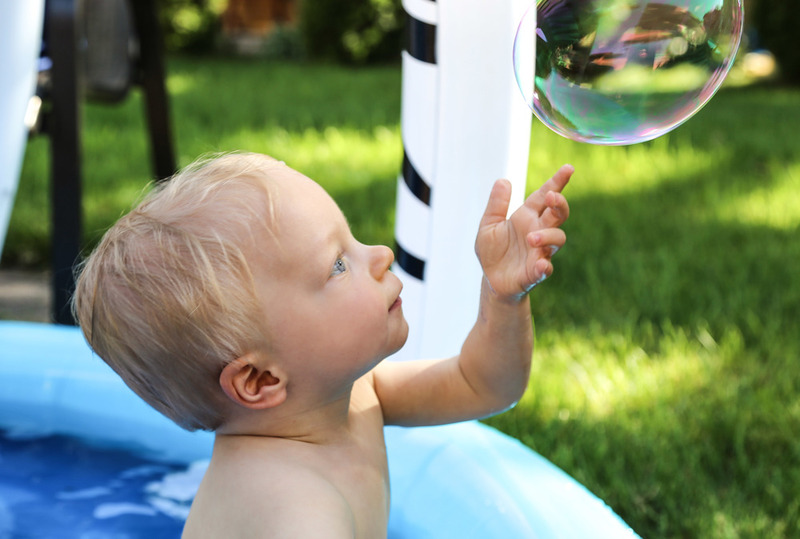 The bubble machine thus far is our best summer purchase! 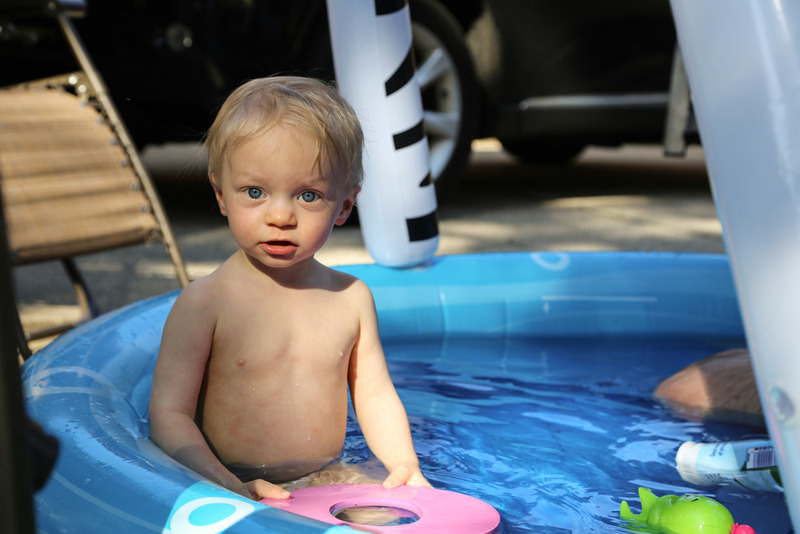 It's kind of too cute when Zander's whole goal with bubbles is to pop them with his face, haha! Love that guy! Happy Summa' ya'll! Hope it's off to a great start!